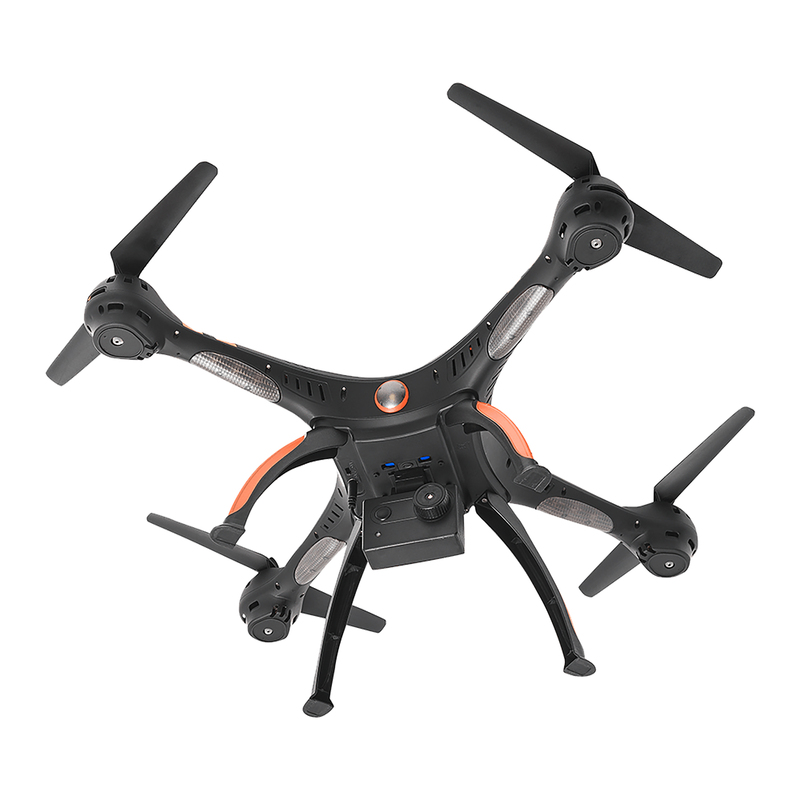 The Uranos is a very simple drone to take control on, you can have access to real-time video feedback on your smartphone up to 30m and its 6 axis gyroscope allows it to integrate the ALTI function allowing the drone to maintain its position In height and thus performing a hover; Ideal for aerial shots. 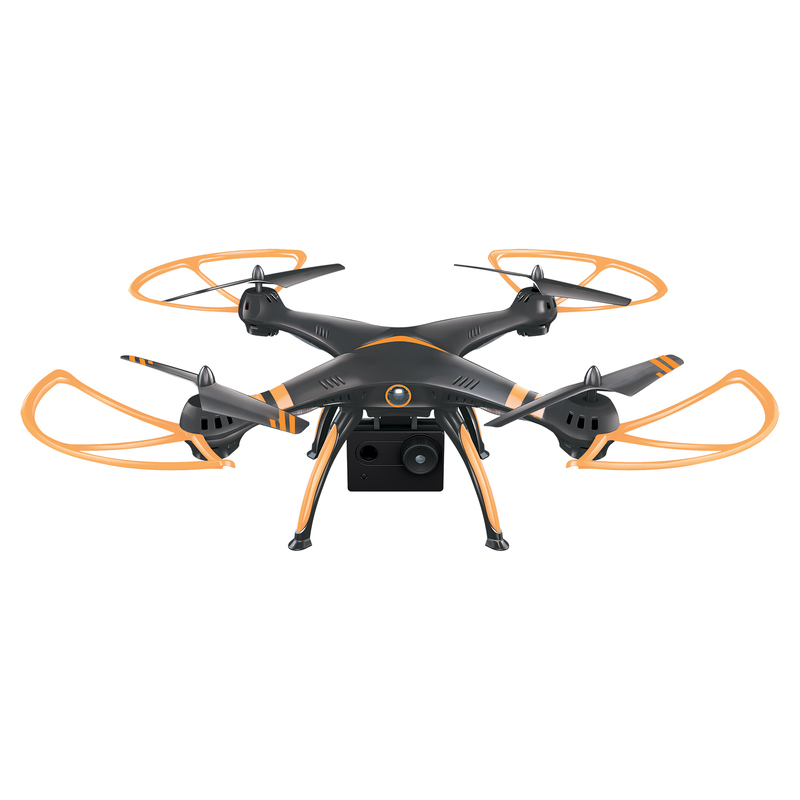 Very easy to fly, URANOS is equipped with a 6 axis gyro and incorporates the ALTI feature, which allows the drone to maintain its height and thereby perform a hover; perfect for aerial photography. 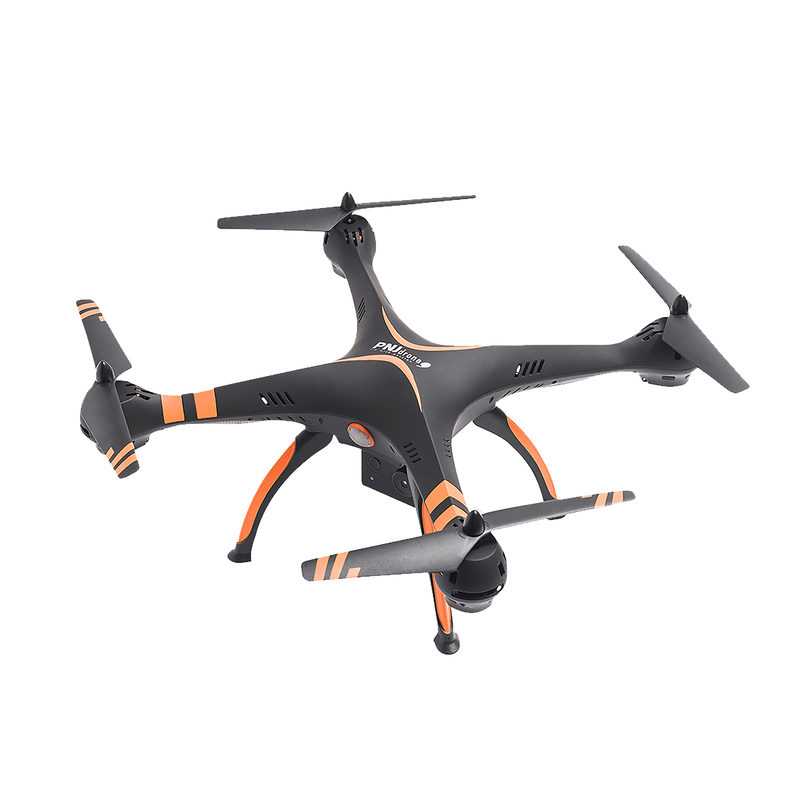 The piloting is especially facilitated by 2 distinct buttons that control the automatic take-off and landing of the drone. However, you are still able to take-off and land manually by carrying out the armament or disarmament of the engines (safe commissioning of the engines). The delivered camera installed below URANOS enables photograph and shooting in VGA 30fps. Triggering occurs from the mobile application and the storage is done on a micro SD card (non-included, max. 4GB). URANOS measures 540x540x170 mm and weighs 365g. Endowed with a 1200mAh 7.4V Li-Po battery, it is able to fly about 10 minutes in altitude. 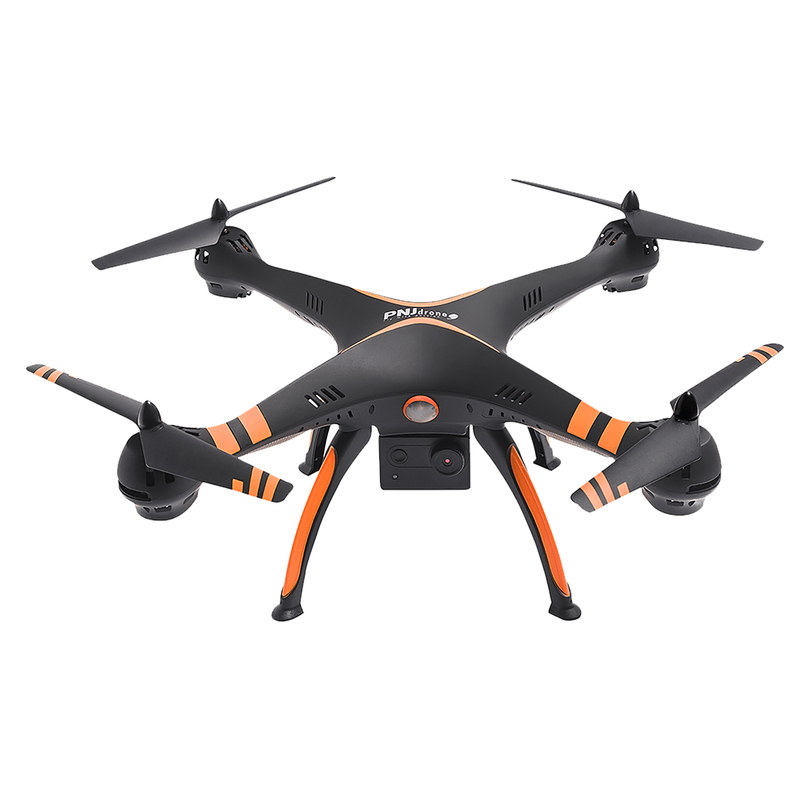 With the 2.4GHz R/C included in the package, you can control the drone up to 50-100 meters away (depending on environmental conditions). Configured on Mode 2, the left joystick allows to control the gas (altitude) and the yaw (rotation), while the right joystick allows to lead the movements (front/rear and left/right). After downloading the free app PNJ WiFi on your smartphone or tablet (available in the App Store & Google Play), you’ll be able to remotely control the drone up to 30 meters away. 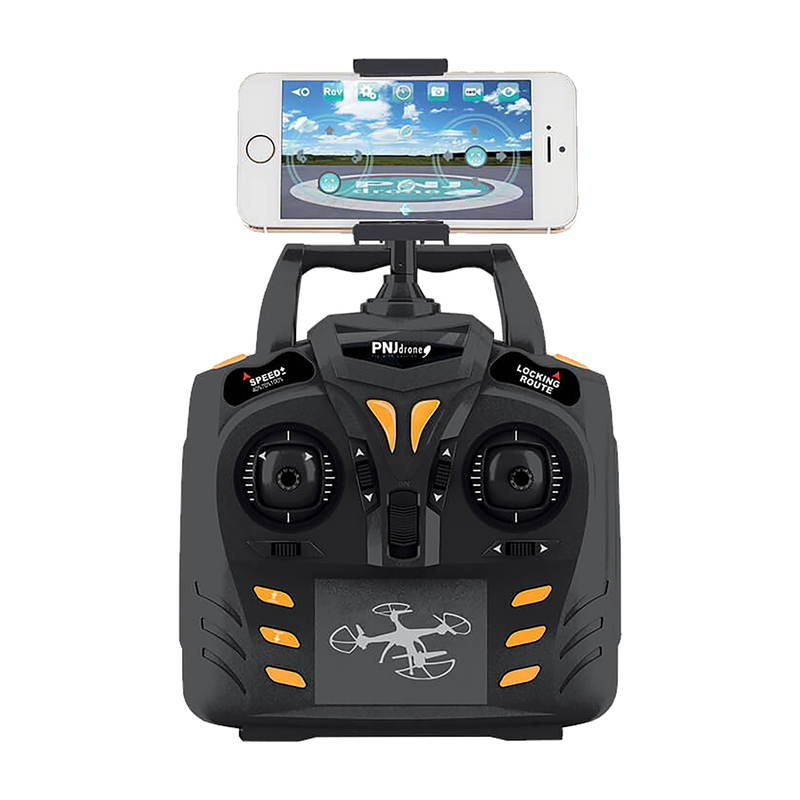 Choosing this control mode allows you to experiment the sensory control: tilt the smartphone to lead the drone in the desired direction. Whatever the chosen control mode, you can access the live video broadcast on your smartphone up to 30 meters away. Furthermore, an adjustable support is included in the package to install the smartphone on the remote control. You can choose between 3 speeds (slow, medium, fast) and you have the possibility to execute 360° loops in 4 directions. 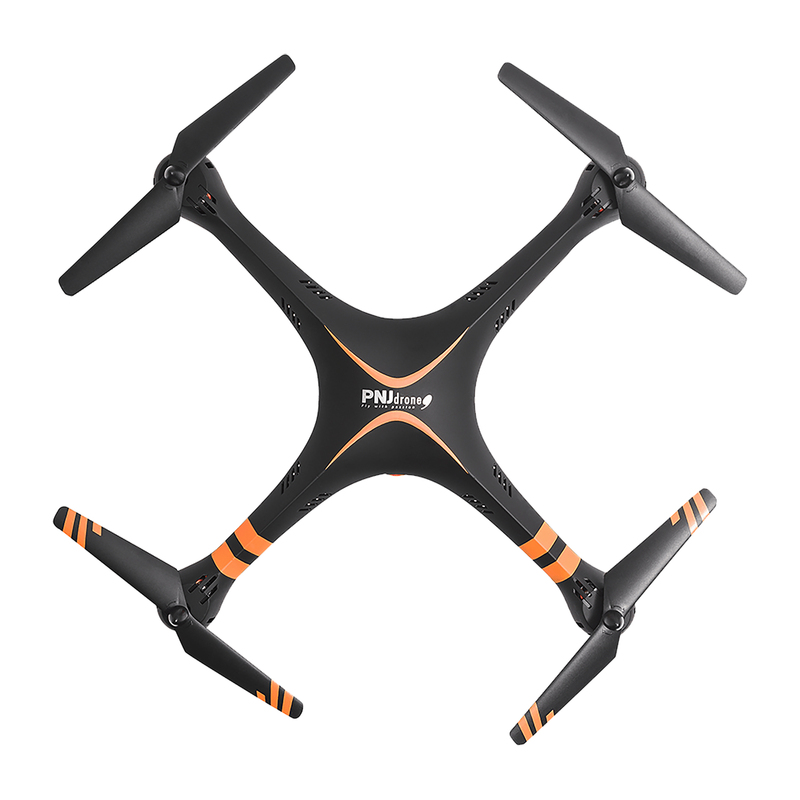 In case of derivation of the drone, you can adjust its position using the trimmers.